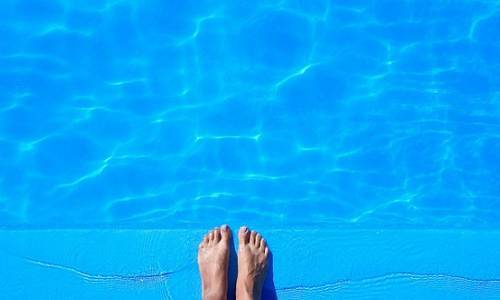 Our Turlock pool service is a comprehensive service that provides you with a variety of options including one-time cleaning, monthly pool maintenance, repairs, inspections, acid washing, pool draining and more. We pride ourselves on being incredibly knowledgeable, professional, and punctual. If you need a dependable cleaning service, you've come to the right place. We believe that a clean pool says a lot about a person. It shows visitors that you care. Its a place for the family to gather. And its a refreshing break after a long day. That's why we offer affordable pool cleaning and service for all pools in Turlock, CA. When you use our services, you can rest assured that we'll be there on-time. We take your pool cleaning seriously, and we always strive to exceed your expectations. Keep reading to learn more about the services we offer in Turlock. Do you need a one-time cleaning or monthly pool service? We have you covered on both ends. Our one-time cleaning is a solution for those home and business owners that need a touch up. Many times we get calls about this cleaning because of algae or cloudy water. But regardless of what your reason is, we're confident that we can help you. In most cases we're able to balance the chemicals, pH, and clean the debris out of the water resulting in clear water after the first treatment. Our monthly maintenance package is where we service your pool each week, year-round. With each weekly cleaning, a technician comes to your home to fully clean your pool. This includes testing the water and adding chemicals as needed to keep the water clear and bacteria free. They'll also test you pH and balance this to ensure we have an environment that prevents algae growth and cloudy water. Your tech is also going to skim the leaves, brush the sides as needed and do a variety of other upkeep routines to ensure your pool stays swimmable all year. Do you have a leak, broken pump, or something else happening with your pool? We can send a technician out today to take a look. If its a leak, your tech is going to figure out where the leak is, repair the leak and ensure its properly patched up. We also perform other repairs of all types including pump service, pump replacement, pump cleanings, pool walls, leaks, timers, lights, sweeps, filters, and more. No matter what's happening with your pool, we can fix it fast. Are you selling your home with a pool or considering buying a home with a pool? We perform certified pool inspections. Our inspections will measure the integrity of the swimming pool, discover potential problems, needed repairs, and what its going to cost to fix these issues. We also let you know if the pools in perfect working order with nothing wrong. A pool inspection can be a powerful tool when it comes to negotiating home price. If a proper inspection isn't performed, it can lead to very costly repairs which is a pain after you've just forked out all that money on your new home.